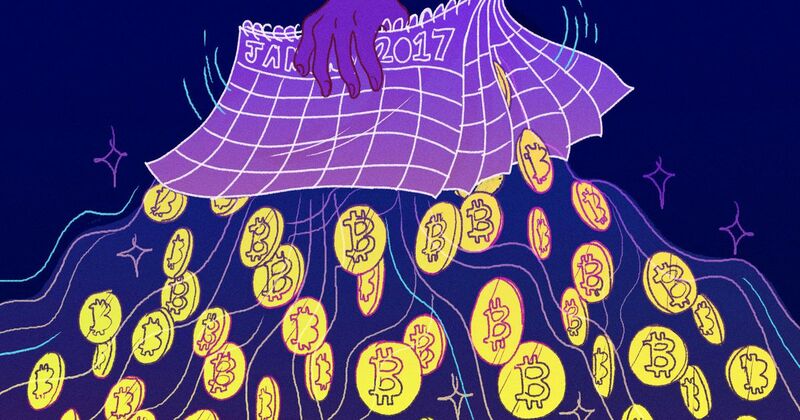 This was Bitcoin's big year, but where does it go from here? The truth is that Bitcoin is all of those things, but whether it’ll succeed as all three — or any of them — remains to be seen. Bitcoin’s price increased tenfold in 2017 and moved into the media mainstream. But for all the headlines and Bitcoin billionaires, the underlying technology mostly stood still. A significant (and highly controversial) upgrade of its software fell through. And the earlier, minor upgrade still isn’t widely used yet. The most important problem these upgrades were supposed to fix bitcoin’s biggest problem—that it’s escalating popularity had exposed an underlying issue with Bitcoin’s distributed database. The issue limited just how much Bitcoin could process at any one time, making the network congested and transactions expensive (not to mention power-hungry). Put simply, while Bitcoin has exploded in value and popularity, the base technology has remained stagnant. And that casts a shadow on its future — right when competition among cryptocurrencies is on fire. With this issue unresolved, Bitcoin lately hasn’t evolved in the direction its founder (or founders — we don’t know his identity) Satoshi Nakamoto had originally envisioned — for Bitcoin to become a peer-to-peer digital cash payments system. Sure, you can use Bitcoins for payments, but with transaction fees going through the roof and Bitcoin’s price constantly rising, it’s just not a very good way to pay for things online. No wonder big online retailers such as Amazon aren’t exactly lining up to introduce Bitcoin payments. Some Bitcoin pundits, including most of its core development team, argue that moving slow, and with full consensus of the Bitcoin community, is the right way to go — certainly better than making rash changes and exposing the network to attacks. But Bitcoin’s development process has been glacially slow; the scaling debate, which culminated with the failed Segwit2x fork, has been going on for years. “Bitcoin will never go away,” Emin Gün Sirer, Associate Professor at Cornell University and one of the eminent voices in the crypto space, told me in an email interview. “But if it wants to deliver on its promises and potential, lots of new developments need to happen,” said Sirer. Some big changes have happened, but not on Bitcoin’s blockchain. Instead, several projects “hard forked” from Bitcoin, taking over its blockchain history but making changes to the software. The most prominent of these, Bitcoin Cash, initially seemed to be a hastily put together project, but recently it gained support of some cryptocurrency pioneers. Roger Ver, an early Bitcoin investor and owner of Bitcoin.com, has publicly voiced his support for Bitcoin Cash, whose value tripled since Nov. 1. Is it possible for a Bitcoin fork to take over and become the de facto “real” Bitcoin? Yes, according to Sirer. Despite the danger presented by Bitcoin forks, the original Bitcoin is still the one everyone is talking about, mainly due to the price rise. Millions of people invested for the first time in 2017, as exchanges such as Coinbase saw unprecedented growth. Institutional investors are getting interested. Predictions about Bitcoin’s price are getting crazier by the day. These predictions are problematic for several reasons. First, for every expert claiming Bitcoin’s price will soar you’ll find another who claims the cryptocurrency is worth zero. Secondly, most of these predictions aren’t based on sound fundamental analysis because Bitcoin has no easily definable fundamentals. When assessing the value of a company, you can compare price with earnings or take dividend yield as indicators of value. Unlike a company, Bitcoin doesn’t generate revenue; it doesn’t pay out dividends. Unlike gold, it has no industrial use and cannot be turned into shiny pendants. The few metrics that we do have are of questionable value. Bitcoin’s scarcity (there will only be 21 million bitcoins minted) is important but one could argue that other cryptocurrencies, which are being created daily, create a coin inflation of sorts. Commonly cited Metcalfe’s law, which (roughly) says that a network’s value goes up with the number of users on the network, would make sense if Bitcoin users were actually using it as a payment system. With most users simply stocking up on Bitcoin and/or trading it, Metcalfe’s law becomes less relevant, and perhaps doesn’t apply at all. That said, the market that Bitcoin is poised to disrupt — the market of finance — is vast, and Bitcoin, with its $172 billion market share is still a fairly small dot on the radar. If you’re optimistic enough, you’ll always find a metric by which Bitcoin still has plenty of room for growth. Dreams about Bitcoin replacing all fiat currency one day aside, the answer for Bitcoin’s price rise is simple: It’s a radical new technology with untapped potential that has the first mover advantage and plenty of good old hype. This, however, cannot go on forever if the technology itself doesn’t move forward, and Bitcoin’s usefulness is presently dubious at best. “An unusable coin makes a poor store of value,” Sirer told me. “A coin whose price you think will go up because other people will put their money into it also makes a poor store of value: that’s a speculation vehicle, and those new people will have difficulty having their investments retain their value in turn,” he said. It could be just a matter of time — and money. It’s early days for the entire blockchain space, and perhaps all that’s needed is a little patience. If you want to call Bitcoin a bubble, the line is not short. But determining what, exactly, comprises the bubble, and when it will burst, isn’t easy. A new breed of cryptocurrencies has risen, many of whom have solved Bitcoin’s shortcomings. Ethereum, the second largest cryptocurrency by market cap, is a far better platform. Monero offers more in terms of privacy. Cardano, a recent newcomer that swiftly rose to a multi-billion market cap, says it has solved the scalability problem that ails most cryptocurrencies. Will one of these eclipse Bitcoin in the future? Krohn also sees the focus on privacy as an important trait of some cryptocurrencies. “Major financial institutions have recognized the usefulness of secure zero-knowledge currencies like Monero and ZCash, and with more and more people seeking blockchain solutions for everything from security, to smart contracts, there is a lot of room for growth,” he said. The largest pretender to the cryptocurrency throne is Ethereum, which, compared to Bitcoin’s singular focus on robustness and security, is the world’s crypto playground. While Bitcoin’s development was stalling, Ethereum powered an entire new class of crowdfunded startups. Funded by initial coin offerings or ICOs (sometimes also called token generation events), those startups have raised over $1.2 billion since 2014. And while some of these ICOs were apparent scams, there are now hundreds of freshly-funded blockchain-based startups working to solve this or that problem in a decentralized fashion. Most will fail, but if even a small percentage builds a viable business, it’ll be a huge boost for Ethereum. On the other hand, Ethereum itself has had its share of devastating bugs and hacks; most recently, a digital kitten collecting game has brought the entire network to a halt. Unlike Bitcoin’s bickering developer team, Ethereum’s developers are exploring a myriad of solutions to fix the issues as quickly as possible. So even if Bitcoin is a bubble, the cryptocurrency space looks like it’s just taking off. Bitcoin’s price may rise and fall in the future — perhaps dramatically — but the revolution has begun. According to Sirer, price is the least important aspect of Bitcoin. “Bitcoin is a fascinating, innovative system. Its technological contributions are immense, so *even if* the price goes to a flat $0, it will still have succeeded in extending our technological toolkit, in revitalizing fintech, and in facilitating other innovations, such as smart contracts, that sit poised to disrupt many business models,” he said.